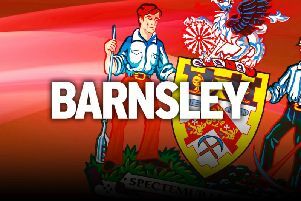 Barnsley CEO Gauthier Ganaye is on the shortlist for a job in his native France. St Etienne are understood to want the 29-year-old to fill a newly-made role at the Ligue 1 club. The French side have created a similar position to the one Ganaye fills at Oakwell and hope they can lure him back to France. Ganaye helped out with the sale of Barnsley to Chien Lee’s consortium last month - with St Etienne looking to sell a significant share of the club. And they feel Ganaye would be the perfect man for the job after his success at doing the same for Patrick Cryne and the Reds. Ganaye previously worked at Ligue 2 outfit Lens before making the move to South Yorkshire in the summer. The news comes just days after heavy speculation that manager Paul Heckingbottom would jump ship to fellow Championship club Nottingham Forest. The former defender was as short as the 1/5 favourite to land the vacant hotseat, before Aitor Karanka was formally announced as the new boss at the City Ground. The speculation surrounding Ganaye will be no shock for the club after his success at bringing players in during the summer. And he also moved quickly to land striker Kieffer Moore for around £750,000 - which was a big tick off Heckingbottom’s January shopping list. Heckingbottom is also in the market for a winger, with injuries in his squad weakening the area. Liverpool’s Ryan Kent, who impressed on loan at Oakwell last season, is once again available after a disappointing spell in Germany. The Reds are believed to be interested once again, with South Yorkshire rivals Sheffield United also in the running. Meanwhile, Barry Taylor has retired after 34 years at the club. The 76-year-old was on the board of directors since taking the roll back in 1984.